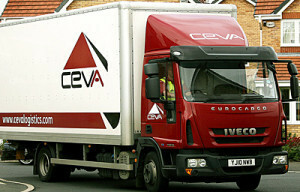 CEVA Logistics saw three per cent top line growth in its Contract Logistics business in the third quarter as a result of new business wins, while air cargo volumes were up 10.6 per cent and ocean volumes were up 4.4 per cent. Adjusted EBITDA was $75 million in the third quarter, up 19.0 per cent sequentially and flat versus previous year in constant currency. It said that market share gains and cost reductions drove this performance. “CEVA’s top line performance continued in Q3,” said CEO Xavier Urbain, CEO. We have experienced good growth in Contract Logistics revenue driven by market share gains. Our Freight Management business line continues to outperform also, with volume growth in Air of 10.6 per cent and Ocean of 4.4 per cent both representing sequential improvements. We have had a number of customer wins in Q3 and our new business pipeline is strong. This demonstrates that our strategy is working and delivering results. Revenue was $1,679 million in the third quarter, up 0.9 per cent in constant currency driven by strong volume growth partially offset by declines in rates in Freight Management and good revenue growth in Contract Logistics. EBITDA in Contract Logistics was $38 million, down against previous year but much better than in Q2 with a 15.2 per cent improvement. The company said that continued sales efforts and closing of facilities allowed a reduction in empty space in warehouses from 6.3 per cent to 4.9 per cent. In Q3, Air volumes experienced an increase of 10.6 per cent against a soft market. It attributed this to a mix of new business and an increasing share of wallet with existing customers in numerous sectors and strong development in selected trade lanes. Ocean volumes grew at 4.4 per cent despite an on-going weak demand in the overall market. While revenue was down 1.4 per cent in constant currency, reflecting unstable rates, EBITDA improved to $27 million, representing a YoY increase of $5 million in constant currency. The company is implementing an Operational Excellence Programme, aimed at simplifying and applying consistent standards and best practices across the organisation. “Our Operational Excellence Programme is being implemented successfully and is anticipated to generate benefits that will accelerate in upcoming quarters. I am confident that the actions we continue to implement will drive robust performance in both our revenue and margins in 2017,” said Urbain.